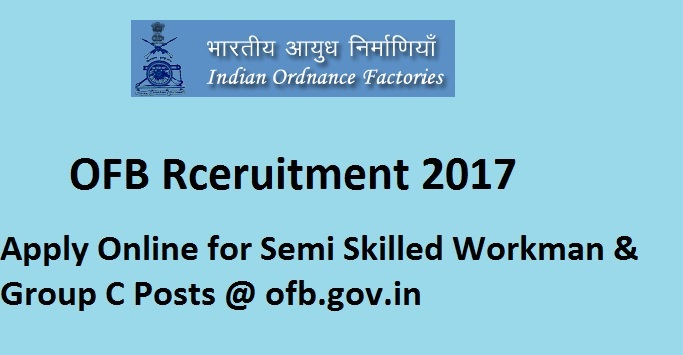 Ordnance Factory Board has released notification to fill the 4110 Semi Skilled Workman & Group C Posts. This OFB Recruitment 2017 can utilise by all candidates who are waiting for Central Govt Jobs. Mode of applying is online. Applications are available from 19th June 2017 on 4110 Ordnance Factory Board Vacancy 2017, and the last date for submission is 10th July 2017. To registration for this recruitment,the link is available at ofb.gov.in. Ordnance Factory Board is an industrial organisation, functioning under the Department of Defence of Production of Ministry of Defence, Government of India. It is also engaged in research, development, production, testing, marketing and product range in the areas of air, land and sea systems. OFB comprises forty one Ordnance Factory all across the country. To satisfy the eligibility criteria candidates should hold minimum age 18 years and maximum age must not be more than 32 years. OFB Apply Online Semi Skilled Workman & Group C Posts from the official website. Candidates will be selected based on the marks obtained in written test, trade test conducted by the OFB Committee. Written test will be held for 100 marks which consist of objective based type questions. Selected applicants will receive the pay scale Rs. 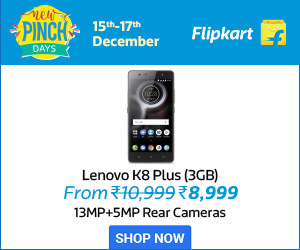 5200/- to 20,200/- per month. More information about Ordnance Factory Board Notification 2017 which includes No. of Posts, Job Location, Age, Qualifications, Selection Process and Application Procedure can be viewed from our website. Candidates should possess Matriculation and must pass National Trade Certificate (NTC)/ National Apprentice Certificate issued by NCVT. Minimum: 18 to 32 years. For reserved candidates age relaxation will be applicable as per government norms. Candidates are required to pay a fee of Rs. 50/- as application fee. Candidates will select based on their performance in written test and interview. Now, click on “OFB Recruitment 2017”. Take the printout of the application form for the interview purpose.